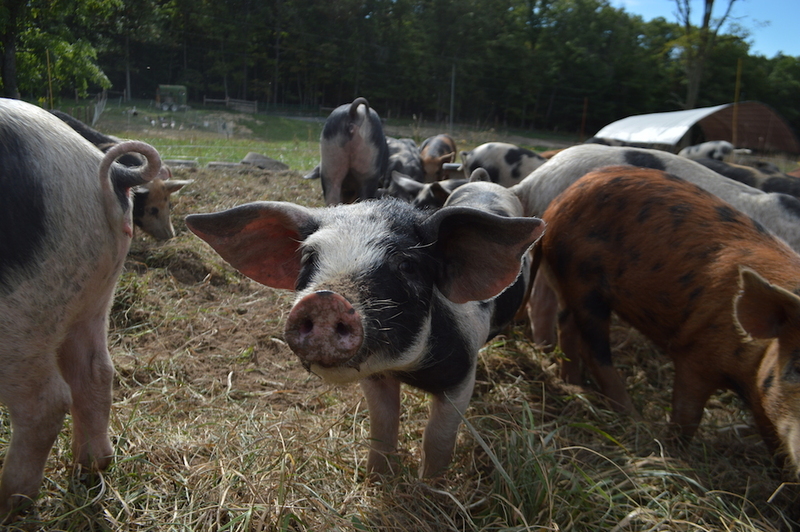 An amazing part of the Vernal Vibe Rise is that it empowers the heritage breeds that are critically endangered by offering them a sustainable home where they can live happily and reproduce in peace. There is an incredible variety of livestock as you walk across the fields, from sheep to rabbits to baby piglets: every one of them with a fantastic personality. Some of them get along better than others, but all of them coexist, living their lives happily the way they so desire. These pigs are something else. 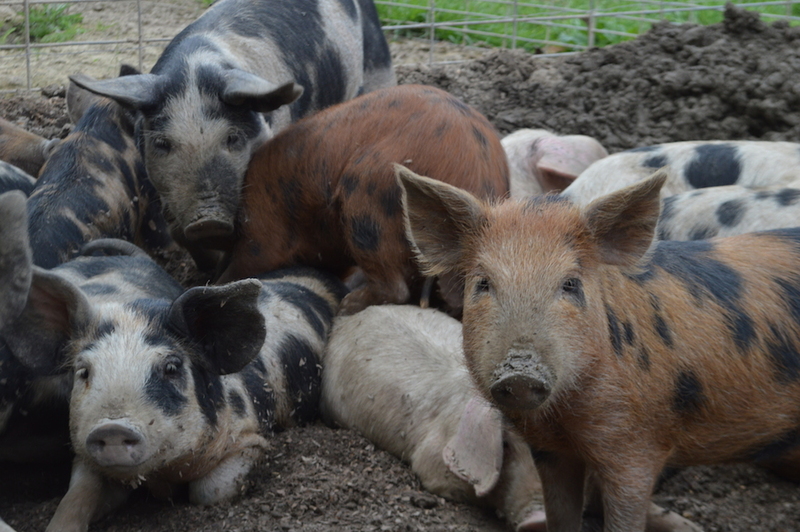 A shoutout must be given to the momma pigs. These powerful ladies were born to do what they love and love what they do with the most inspiring positive intention. An honory mention to our wise giant, the fabulously voluptuous Marfrance. 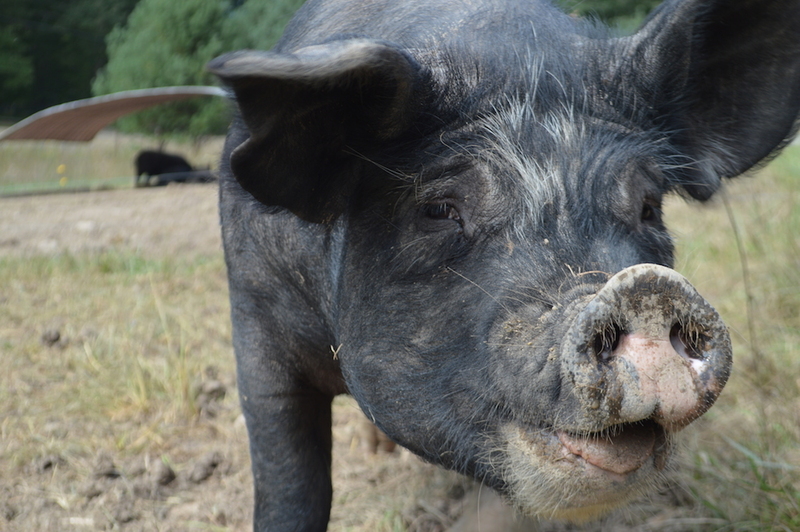 Glamourously grazing with a cooperative smile, this Gloucestershire Old Spot momma packs a lot of love. Estelle the Berkshire is always clowning around with her tongue out. She’s always ready to greet you and talk about her day any time you pass by her. Then there is the fabulous tamworth Tamara, who is surely about to pop a new litter soon. You might recognize this lovely face by her stage name, Sherry Boom (Boom) or as she calls herself sometimes “Sheritta”. She’s recently decided to abandon her singing career as a pop sensation in order to take some time to nest up a family. But really, it’s all about Rosa. 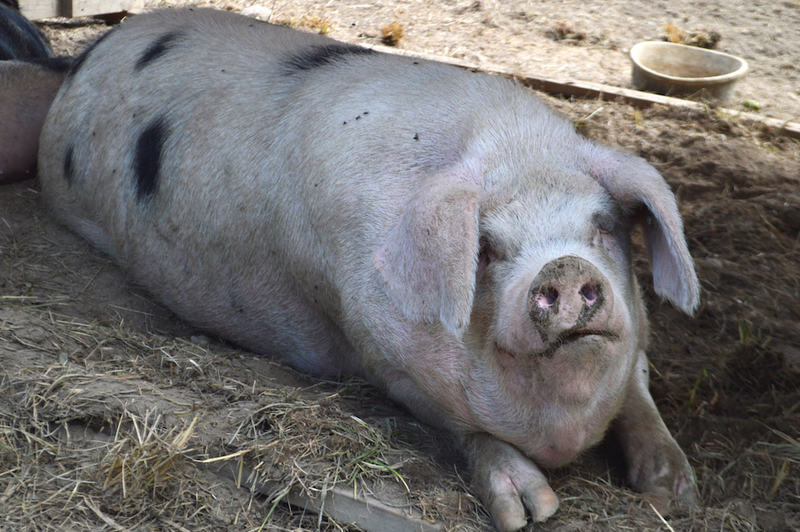 Fully aware of her stunning good looks with the whole pig neighborhood drooling over her, she prances along indifferently and always gets what she wants in life. As the true Ossabaw she is, she is quite feral by nature. She makes sure to take any opportunity to prove that she’ll outsmart anyone around her. Those who fall under her spell end up with a serious heartbreak, and she’s already got a lot going on her playing field. She seems to have a pretty serious relationship with Ossabaw Jack although recently crossed paths with the infamous (Doctor) Xavier, who fell hopelessly and foolishly in love with her. It is no secret the the enchanting Xavier has been secretly attempting to take over the farm all these years, and Rosa seems to be in cahoots with him on this idea. This secret love affair has caused Xavier a beautiful friendship with his apprentice, Joey, the teenage hearthrob, who was making some moves on Miss Rosa on the side. Who knows what kind of troubles this dynamic duo might be plotting. The head of the farm, Quincy Gray, responds cooly knowing that she’s got everything under control. Rosa replied all interviews with “no comment,” and did not let us photograph her for this report. 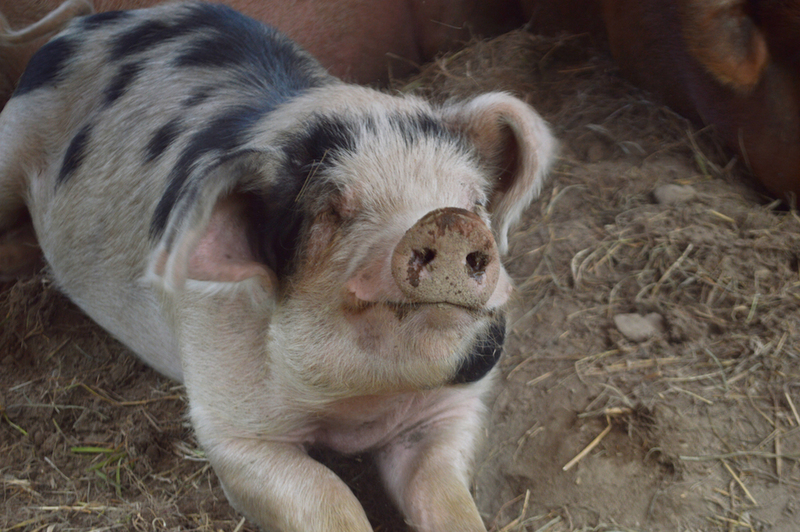 However, we have pictures of some of the Ossabaw piglets that resemble her dashing looks. 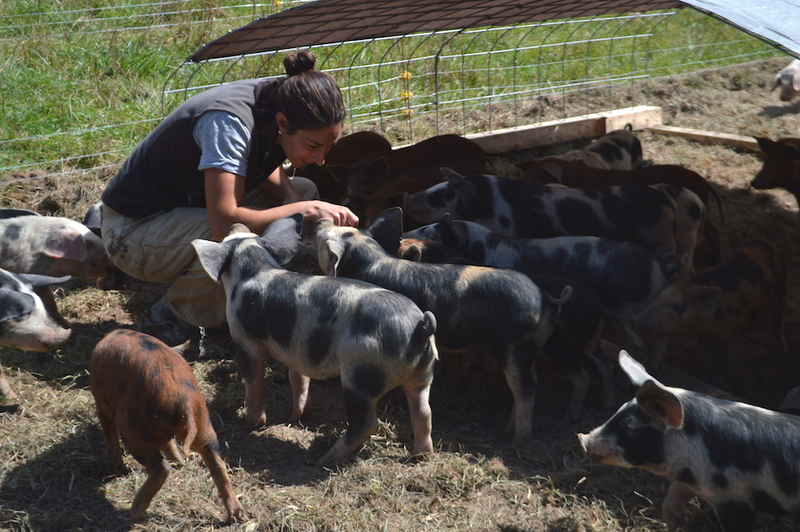 These mommas continue to bless the VVR with the of the most energetic and adorable piglets, who seem to be genetically bred into not just being adorable and awesome, but most of all: absolutely delicious. 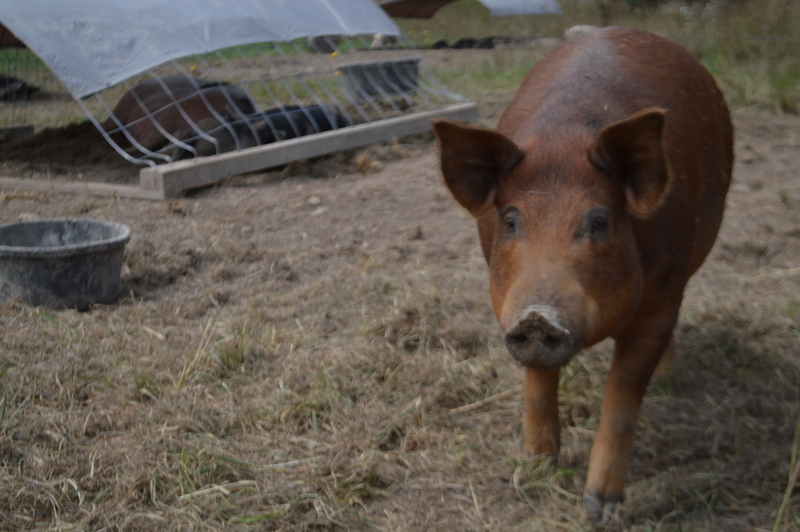 This entry was posted in Gloucestershire Old Spot Pigs, Heritage Swine, Ossabaw Island Hogs, VVR, WWOOF on 4 October 2014 by VVR wwoofer.